Our team of ASE Certified technicians use make-specific computer diagnostics, scan tool, and reprogramming to provide you with the most accurate service for your individual vehicle. We are able to service all Lexus and Toyota models, and our team can often perform same-day service for any auto repair. 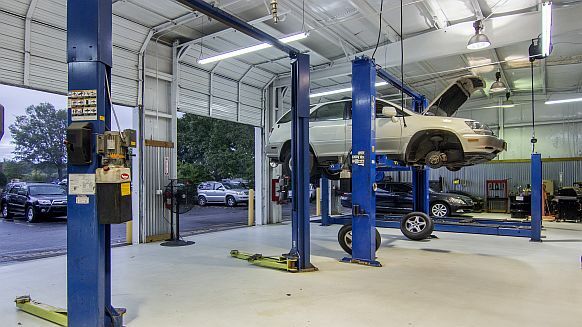 Charleston, SC offers many options for automotive care, but few shops provide the quality and amount of services we have at Lex-Tech Automotive. In addition, we offer a leading 24 month/24,000 mile warranty for all services and parts. Contact us today at 843.225.5191 or schedule an appointment online! If your vehicle requires tire balancing, tire mounting, or tire rotation, we are your choice for local Charleston tire service. Our technicians have the skills to ensure the safety of your tire performance. We use state-of-the-art computer diagnostics prior to performing auto repair and maintenance services. Our team has the right tools for this task, so you can count on a personalized automotive service. No matter what the weather is like in Charleston, auto repair technicians at our shop will make sure your vehicle is able to maintain a comfortable temperature. We offer both heating and air conditioning services for all vehicles. Whether you have a malfunction in your rack and pinion steering system or issues with damaged parts in your suspension, our team will fix the problem correctly the first time! We will make sure your car runs as smoothly as possible. From brake pad replacement to Anti-lock Brake System repair, our ASE Certified technicians are able to meet all of your brake service needs. If you hear a screeching sound coming from your brakes or experience a delay in braking, bring your vehicle in for service as soon as possible. Remove Wheels, Clean, Adjust and Inspect Linings, Wheel Cylinders, Pads and Calipers, All Hydraulic Lines, Fittings and Hoses.